LE SOLUTION AGE-DEFYING CREME MOISTURIZES AND REDUCES THE APPEARANCE OF WRINKLES AND OTHER MAJOR SIGN OF AGING SKIN. THIS PRODUCT COMBINES MANY OF THE WORLD'S MOST EXCLUSIVE ANTI-AGING INGREDIENTS & PEPTIDES. OUR AGE-DEFYING MOISTURIZING CREME IS A MAJOR ADVANCE IN THE COMPLETE CARE FOR YOUNGER LOOKING SKIN. PATENT HOLDER FOR FRENCH PEPTIDES. Hyaluronic Acid is one of the world’s best moisturizers. As skin ages, it loses its ability to hold water. Hyaluronic Acid helps deliver back water to the skin cells. These moisture-saturated skin cells help your skin look firmer, tighter, and younger looking. Matrixyl® (palmitoyl pentapeptide-4), is a patented ingredient of Sederma Inc. in France that has shown to decrease wrinkle depth up to 68%! Matrixyl® Synthe-6™ is the newest addition to the famous Matrixyl® family of peptides. It acts as a wrinkle filler, by smoothing wrinkles from the inside by rebuilding the skin where it is needed, particularly on the forehead and crow’s feet. THE MOST COMPLETE AGE-DEFYING CREME AVAILABLE WITHOUT IRRITATION! INGREDIENTS AVAILABLE. DEEPLY HYDRATING AGING SKIN AND PREVENTIVE CREME WILL CONTINUE TO SOFTEN THE TEXTURE AND BRIGHTEN THE SKIN'S COMPLEXION WHILE VISIBLY FIRMING. 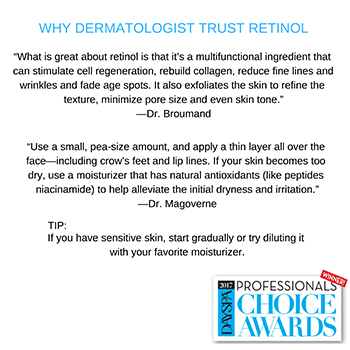 LE SOLUTION RETINOL CREME REVITALIZES AND RENEWS WITH ITS WONDERFULLY RICH TEXTURE AND UNIQUE MIX OF RETINOL. 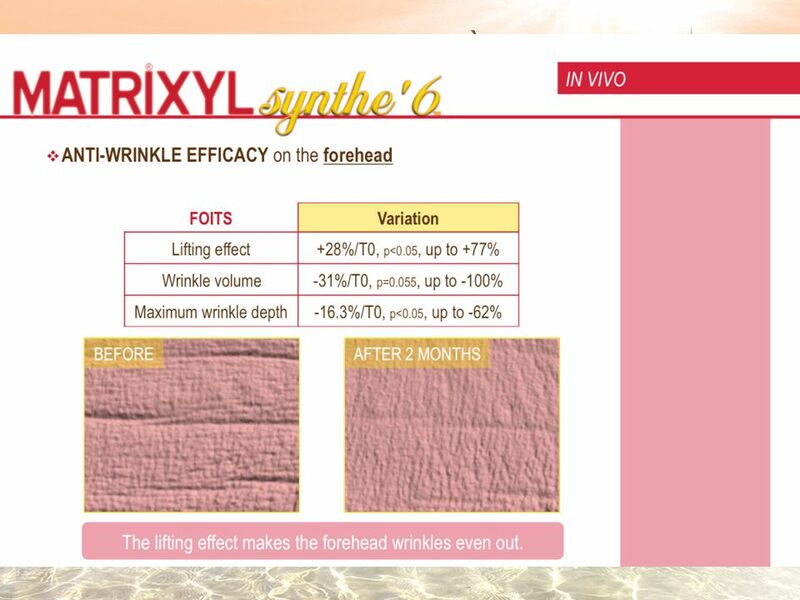 MATRIXYL SYNTHE-6 WILL SIGNIFICANTLY IMPROVE SKIN AND PROVIDE A YOUTHFUL HEALTHY GLOW AND TEXTURE. AT NIGHT, USE AS THE LAST STEP IN YOUR SKINCARE ROUTINE IF YOU ARE LAYERING PRODUCT. DAYTIME, FOLLOW WITH BROAD-SPECTRUM SUNSCREEN RATED SPF 30+. WHEN LAYERED WITH GLYCOLIC RECTIFYING, SERUMS &/OR MOISTURIZING CREMES A BOOSTING EFFECT WILL OCCUR. Aqua, aloe barbadensis (vera) leaf juice*, isopropyl palmitate, cetearyl olivate, sorbitan olivate, glycerine, xylitylglocoside and xylitol (Aquaxyl™**), cetearyl alcohol, retinyl palmitate, sodium hyaluronate, palmitoyl pentapeptide-4 (matrixyl®***), hydroxypropyl cyclodextrin (and) palmitoyl tripeptide-38 (Matrixyl® Synthe-6™***, butyrospermum parkii (shea butter), sodium ascorbyl phosphate, tocopheryl acetate, matricaria recutita (chamomile) flower extract*, camellia sinensis (green tea) leaf extract*, olea europaea (olive) leaf extract*, boron nitride, sclerotium gum, citrus aurantium dulcos (orange) fragrance, iodopropynyl butylcarmamate, phenoxyethanol, caprylyl glycol *= certified organic **=registered trademark of Seppic Inc. ***= registered trademark of Sederma Inc. I have sensitive skin and this product is not an issue, and it is moisturizing but does not feel heavy. While using for about a month, I noticed the fine lines on my forehead and slightly enlarged pores on my cheeks diminished enough for me to notice. I ran out and the fine lines are back, so I reordered. I can't live without this moisturizer. I use it at night after a serum and my skin is so soft and smooth in the morning. I have recommended it to many people who agree it is a necessary component to all skin care regimes. When I visit spas, I am always compliment on how great my skin looks and I tell them about this moisturizer! I've only used this product a few days and I already see results. My skin looks healthier overall, the broken capillaries around my nose are significantly less visible, and my breakouts are diminishing. I did see a bit of irritation, especially on the drier parts of my face after the first day, but I've never used a retinol product before and I have extra sensitive skin. It wasn't itchy or painful, just pinkish and rashy. It's mostly gone away already though. It's become the go too face cream for improvement on my skin. Highly Recommend!!!!! !